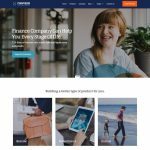 Ascent Loan Business Responsive Website Templates, its free! 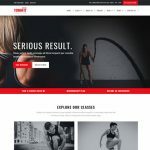 Loan website templates is a clean and simple website template designed in a corporate style and dedicated to loan, bank, payday, lender and mortgage businesses. 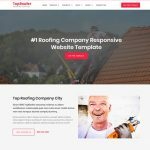 Whether you’re running a business like loan company, banking, finance, bank, insurance, loan agent, loan officers, loan brokers, payday, credit service, students loan, business loan, home loan, investment company or other types of businesses, the template can become a great to start your website easily. The design is fully responsive with bootstrap framework and would look great regardless of the device it’s viewed to any handheld. Professionally designed loan templates is adds credibility to your online business. While our Loan Website template are easy to customize. You can change image, color schemes, typography (used google fonts), layout. Template come with feature like 10+ Pre designed HTML5 templates, loan product showcase, loan application form, sticky header, call to action, testimonial, page header with call to action and default blog and blog single page (static no coded). Style guide page is template design guideline of template that will help to designer and developer to create custom style of your website easy and fast. 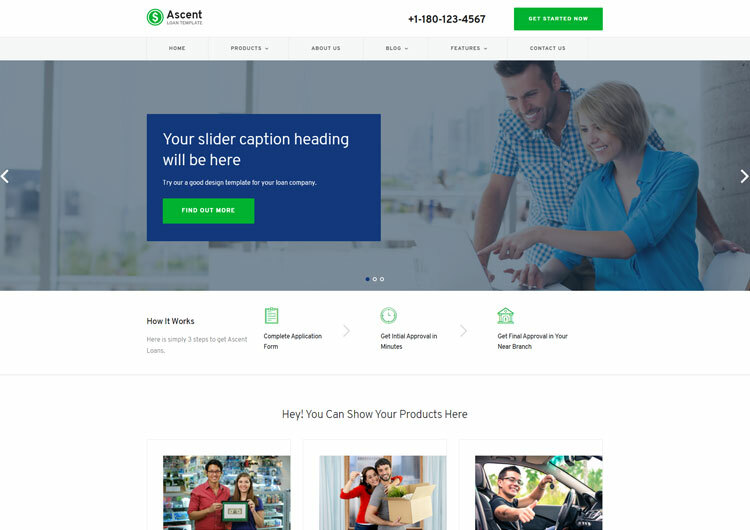 Enhance your loan business with this ascent website templates.